30-year old company represents leading brands in professional audio, commercial AV, video and lighting under the guidance of owner Mark Meding. 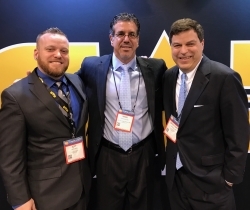 CAD Audio has appointed On the Road Marketing as sales representative for New England, New York City and Upstate New York. In business for over 30 years, On the Road Marketing has achieved great success representing leading brands in professional audio, commercial AV, video and lighting under the guidance of owner Mark Meding.